Creeper and Pinkie Pie. 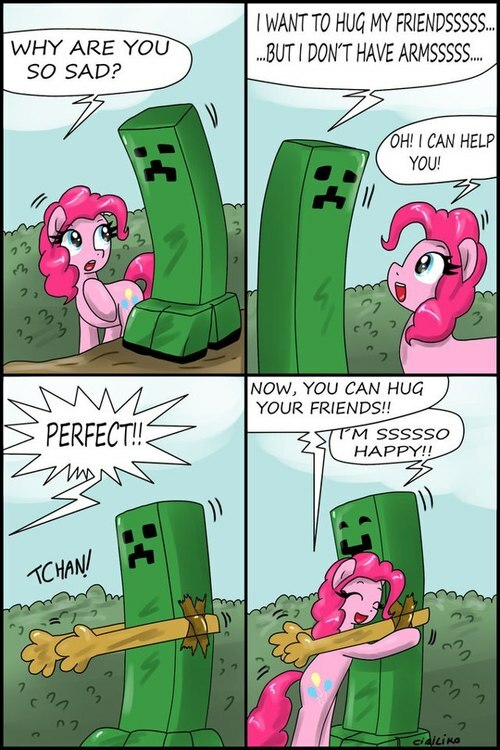 Creeper didn't have any arms to hug with~ Pinkie Pie can fix that! :DD. HD Wallpaper and background images in the 《我的世界》 club tagged: minecraft awesome creeper pinkie pie mlp. Im a brony and this is amazing! aw... Can I hug U?